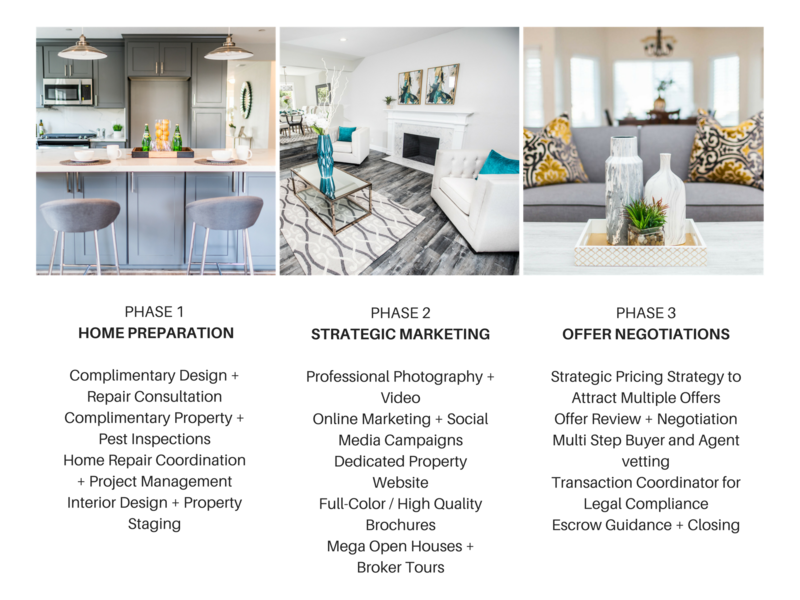 Selling a home can often be stressful, which is why we have developed a proven 3-Phase Sales Process to take away the stress and ensure unmatched results. We will guide you every step of the way and do all the heavy lifting so that you can focus on whats most important. Once your home is prepared for sale, you can rest assure that your home is being marketed in the best fashion and reaching the largest amount of potential buyers.